On Sunday 18th March 2018, a raging fire swept through a small seaside town of Tathra on the NSW South coast destroying 65 houses, 35 caravans & cabins and damaging another 48 homes. Whilst it is miraculous that no one is seriously injured in the fire, the devastation to the Town and to the victims who have their properties, belongings and most of all their memorabilia destroyed was immense. At this time of distress, Australian Chinese Charity Foundation would like to show to the victims of the fire, the Rural Fire Services, the Fire and Rescue NSW and all the volunteers that we stand behind supporting them on their journey to rebuilding their life. Australian Chinese Charity Foundation has donated $20,000 to the Bega Valley Shire Council’s Mayoral Appeal Fund which is set up to ensure all funds are distributed equitably and consistently to those who are directly affected by the fire emergency. The cheque was presented to the Hon. Andrew Constance, MP, Member for Bega and Minister for Transport and Infrastructure at 6:30pm on Wednesday 28/3/2018 at his Ministerial Office at level 16, 52 Martin Place, Sydney. Australian Chinese Charity Foundation wishes to use this donation as an appeal to the broader Chinese community to support the Bega Valley Shire Council’s Mayoral Appeal Fund to show that the Australian Chinese Community would stand side by side with the Tathra bush Fire Victims at times of needs. This Appeal will close on 15 June 2015. 1 April 2015On 13th March, 2015, Vanuatu was hit by a category 5 cyclone Pam, the most severe cyclone in its history, resulting in wide spread destruction and loss of life. Wind gusts of 320kmph had torn trees from the earth, ripped roofs off schools, flattened thousands of homes and blown whole villages away. On Efate Island, where the capital Port Vila is located, an estimated 90% of structures are damaged or destroyed. A state of emergency has been declared for Shefa Province, including Port Vila, and an estimated 60,000 children have been affected. Reconstruct water tanks so that rain water can be harvested and safely consumed. Rebuild sanitation facilities to contain disease. Provide water purification tablets to prevent illnesses due to water borne disease. Educate children on hygiene and sanitation awareness to help prevent the spread of disease. This Appeal will close on the 15/4/2015. In October 2013 NSW was hit by a series of devastating bushfire destroying hundreds of homes and bushland with the worse of fires in the Greater Blue Mountains Area. A state of emergency was declared at the time. ACCF launched a NSW Bushfire Appeal to the Chinese community. A total of $71,000 was raised. ACCF initiated fundraising to assist the victims of Cyclone Larry which hit North Queensland in March 2007. The Cyclone inflicted much damage to the area, resulting in the loss of homes, schools, farms and infrastructure. An ACCF team travelled to Queensland to visit some of the families affected and to contribute $12,000 towards the Cyclone Larry disaster relief fund.ACCF supported the appeal held by Lions Club International to assist those who have suffered from the “Big Drought.” ACCF donated $5000 as a seed contribution towards this cause and also attended many of the fundraising events in support of drought relief appeal. 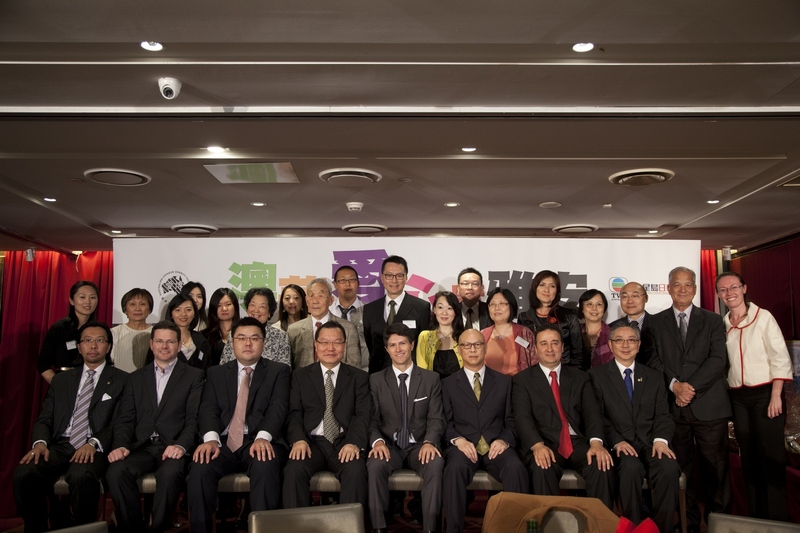 ACCF raised $105,000, together with the Chinese media, for the Pakistan earthquake disaster relief effort. This was donated via World Vision Australia. $50,000 of this fund was donated by Mr & Mrs Henry Ngai of ABC Tissue Products Pty Ltd.ACCF raised $70,050 for the Xinjiang Snow Storm disaster relief effort. This was donated via the Australian Red Cross. 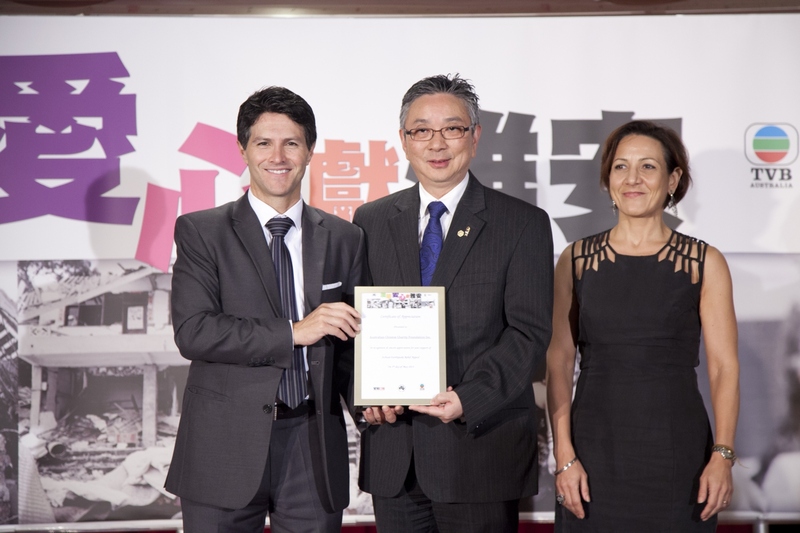 $50,000 of this fund was donated by Mr & Mrs Henry Ngai of ABC Tissue Products Pty Ltd.
ACCF rallied the Chinese community to collect for the Tsunami Disaster Relief effort. More than $400,000 was raised by ACCF, together with other members of the Chinese community, and donated through World Vision. ACCF raised over $128,000 for the 2003 Community Disaster Fund as a result of bushfire and drought in New South Wales. ACCF raised over $200,000 for the Christmas 2002 Bushfire Appeal. ACCF took a significant role in the fundraising campaigns for East Timor and the earthquake in Taiwan. Amounts of approximately $70,000 were donated to Buddhist Tzu-Chi Relief Foundation to aid the Taiwan victims and of approximately $30,000 were donated to Care Australia to aid the victims of East Timor.